An old courthouse says a lot about a place. Take the one in the middle of the town square in Llano, Texas. It was built in 1893, replacing the first courthouse that was destroyed by fire the previous year. The town made the new one sturdy, with the exterior composed of sandstone, marble and granite—a big reason why it survived interior fires in 1932 and 1952. It was renovated in 2002, and the cupola was restored in 2009. Today, the courthouse—listed on the National Register—is still used as a government building. That’s par for the course for this “Hub of the Texas Hill Country.” Llano not only preserves its heritage, the town finds new uses for it—and that’s why it’s our #10 True Western Town. In Llano, the downtown area is centered on an old-time square (with the courthouse as the signature structure). The 1900 Bruhl Drugstore building houses the Llano County Historical Museum. The 1892 Railroad Depot is a visitor center and home of the chamber of commerce. Another 1892 building, the Acme dry goods, is a restaurant. And the First National Bank Building, constructed in 1891, is now the recently renovated Badu House, which is due to re-open as a beer & wine bar and bed & breakfast this spring. On top of that, Llano boasts historic structures that still operate as they did in the past—like the 1898 Corner Drug Store and the 1907 Dabbs Rail Road Hotel, which was recently renovated and operates as a bed and breakfast. Hasse’s Hardware, dating to 1938, is still owned and operated by the same family. Preservation efforts are ongoing in Llano. The local Main Street project has been instrumental in obtaining funds for a variety of projects, including the renovation and stabilization of the 1895 “Red Roof” Jail (which gained the nickname because of the roof color, of course). The group offers a historic walking tour of the downtown area. 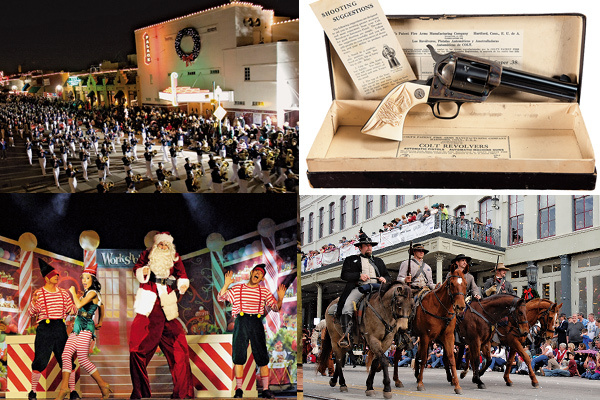 Llano is also well known for its big historical events and festivals. An annual Texas Proud Festival features the largest re-enactment competition in the state. The Texas Gold Panning Championship is held each year along the banks of the Llano River as part of the Gold and Gem Rendezvous. Llano County Heritage Days features a ranch rodeo and gunfight re-enactments. And, since 2005, the town has hosted a chuckwagon cook-off. That’s quite a bit of action for a town of about 3,300 citizens. Visitors are also drawn by the natural beauty of the Hill Country, with its wooded rises and valleys. Many hunters travel to the area each fall and winter to go after the abundant white tailed deer. Fishing takes place year round in the Llano River and surrounding Highland Lakes area. And camping and hiking are also popular. The local chamber of commerce has a slogan: “Discover Llano … the Way Texas Used to Be.” This small town—with its focus on historic preservation, its hardworking people and close-knit families—certainly fits that bill. 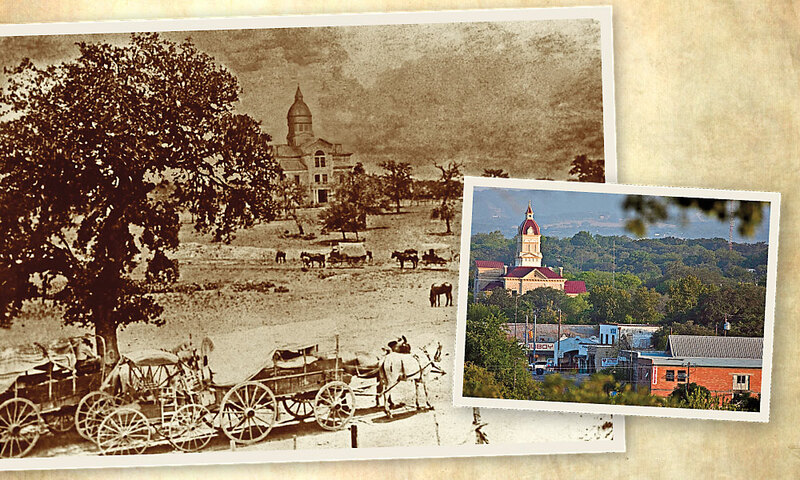 Yet by emphasizing and actively using its past, Llano has secured a strong future as well. Just look at the courthouse. It says a lot about the place and its people. 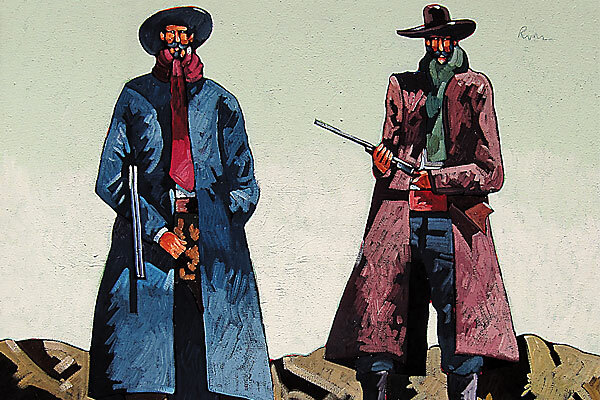 December 2012 Events Western roundup of events where you can experience the Old West. Cowboy Capital of the World Bandera stands deep in the heart of Texas Hill Country.